Find the queen. Each time he plays the game with you, your spectator falls into subtle traps you've set. He receives an authentic lesson on the con game that is not a game at all. 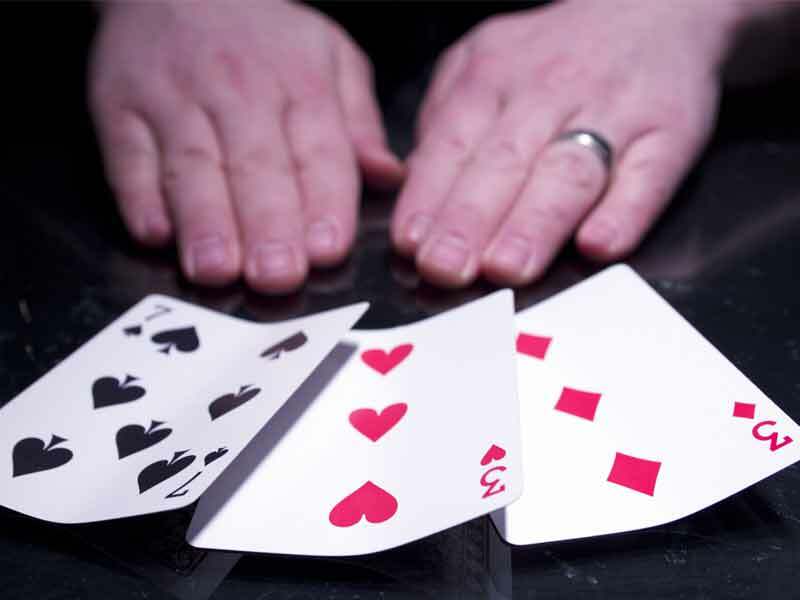 Using beautifully choreographed sequences, you continually manipulate your spectator into choosing the wrong card. He just can't help himself! Try to find the lady and win money! An ending that will blow minds! A torn corner transforms in their hand! You clearly rip off a corner of the winning Monte card. A spectator holds the torn corner in their hand. Amazingly, the winning Monte card restores itself to a perfect condition on the table. 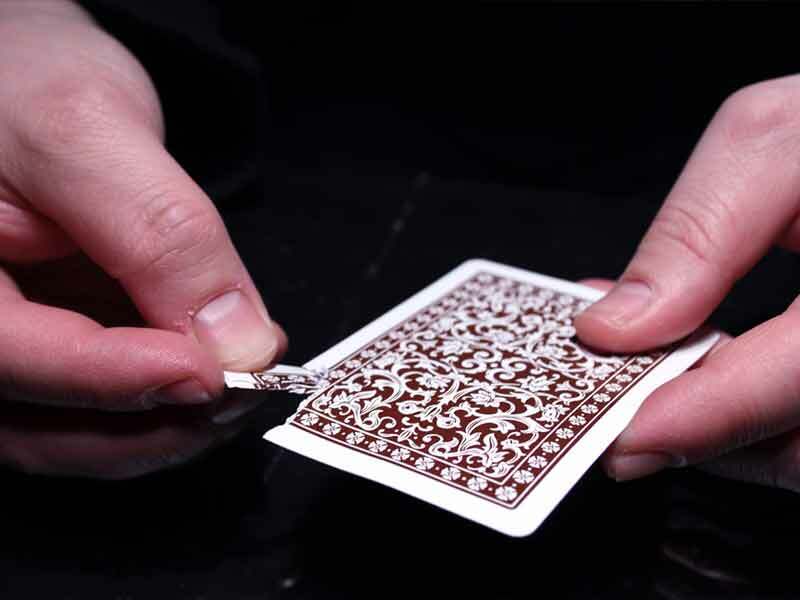 The piece held by the audience member magically changes to a corner of a losing card. You WILL look like an expert! 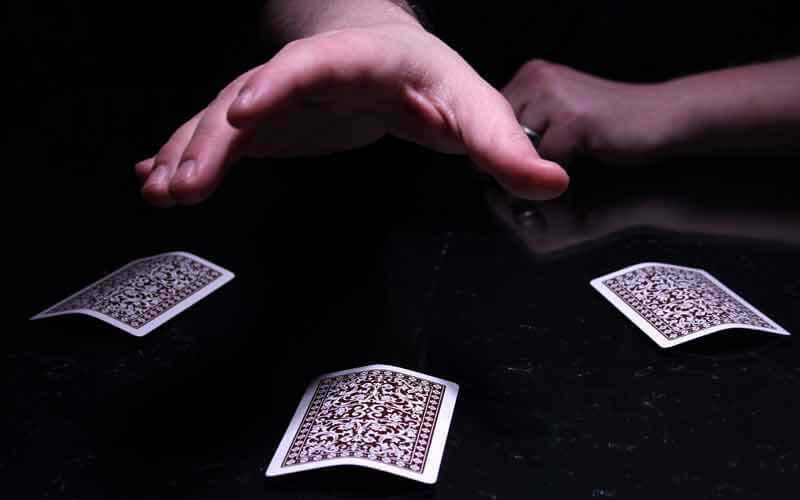 NO TRICK CARDS used in Catch 33:Three Card Monte. Over 30+ pages of instructions & photos are provided to help you learn this routine with ease. Even if you're a beginner, this tutorial walks you through the entire process from start to finish.  Perform this routine surrounded; at a restaurant, trade show, or private party. Insert it into a gambling demonstration. Use it when you want audience participation. As a bonus, a Catch 33 performance video is provided as a learned aid. Shown from the audience's point of view, this clip will help you visualize each sequence to learn the routine faster. Is Catch 33 For You? The majority of Monte routines are story based and don't allow for spectators to actually play. 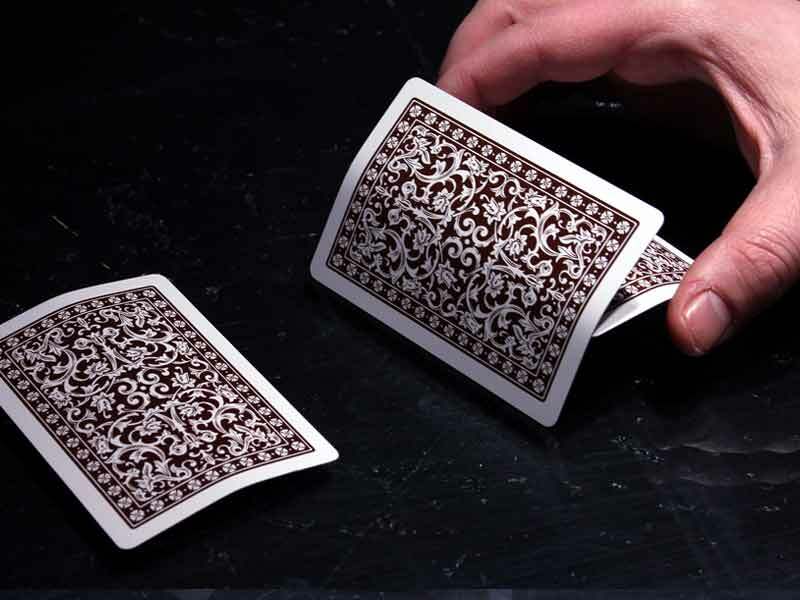 Designed to fool a room full of lay people, Catch 33 astounds many of the sharpest magicians watching. If that's something that interests you, then Catch 33 Three Card Monte is right for you.